We live about 30 minutes away from my daughters’ schools. Fortunately, there is a school bus stop about 15 minutes from our house where they can catch the bus each morning and be dropped off there in the afternoons. I am so thankful we have that service available to us. The girls wake-up at 6:00 am in the morning. They have approximately 45 minutes to get dressed, do their hair, pack their lunch, pack their backpack, and eat breakfast before we need to be on the road to the bus stop. One daughter usually has enough time to make herself breakfast. The other daughter tends to grab something to eat on the way out of the door. I try to have healthy options for both of them to eat in a hurry. 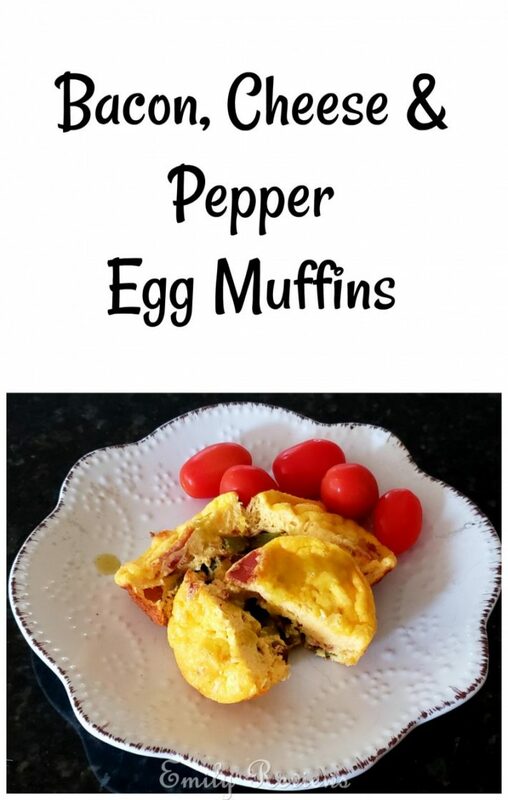 One quick breakfast I make is Bacon, Cheese & Pepper Egg Muffins. They are super easy to make and oh so good! Preheat oven to 400°. Line or grease a 12-count muffin pan. I don’t suggest the paper muffin liners. This recipe is to wet for them. They will stick. If you are going to line, use the silicone liners. Par cook the bacon, cut it into small pieces and divide it among each of the muffin cups. Dice your bell pepper, sautee it with a TBS of ghee or butter until soft and then add it to the muffin cups. In a blender, combine cottage cheese, cheddar cheese, eggs, salt, and pepper. Once that mixture is well combined and smooth, pour it into the muffin cups until they are about 2/3 of the way full. Bake your egg muffins for 15-18 minutes or until golden brown. When in the oven, your muffins will puff up quite a bit. After you remove them from the oven, they will deflate a bit. 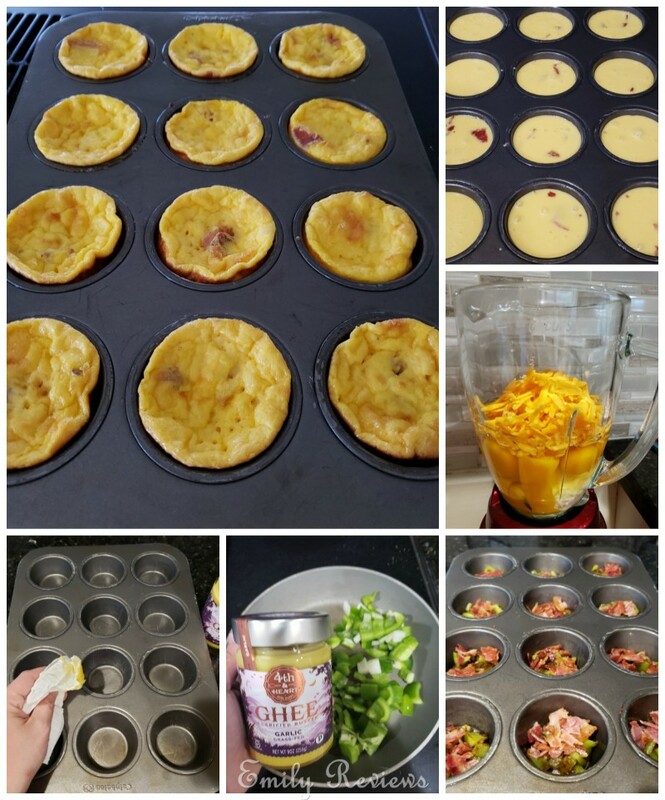 Bacon, Cheese & Pepper Egg Muffins are full of protein and healthy fats. They are so good. They make a great breakfast as we head out the door to the bus stop each morning. These sound and look so good………. Have you tried freezing them? As a senior these would be nice to have in the freezer to pull out for breakfast. Gloria, yes I have tried freezing them. They do well. We love having eggs for breakfast, so I will have to try these! These sound really delicious. I may make these this weekend! These sound delicious! They would be perfect to take on the go too! I love savory breakfast over sweet in the morning so these are great. Thank you so much for sharing the recipe! I really like this for a quick meal! This would also be great on holidays when I’m busy with other recipes but still want a good breakfast for the family. Thank you for this recipe. 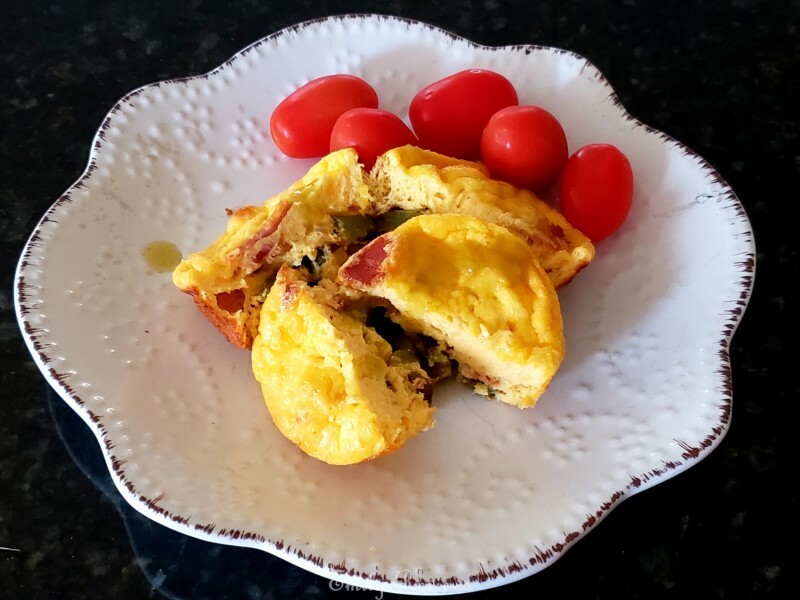 I try to eat low carb and this is similar to a version of quiche muffins that I make. I like that your recipe is lighter than my version. Looking forward to trying your Bacon Cheese Pepper Egg Muffins.